A lot of women think they know what a midwife is, but most of them don’t really understand the differences between a midwife and an obstetrician (or even a midwife and a doula). Most of the women that I have asked think that midwives are ‘lay midwives’ with not very much education or training (if at all) that only do home births, and they believe it’s unsafe. These misconceptions are why I thought it would be a good idea to explain the two (OBs and midwives) so that you can have a better understanding of each. Here are the four main differences between OB/GYNs and midwives. An OB/GYN goes through four years of formal medical school, four years of a medical residency that involves surgical training, and an additional three years in a residency specific to obstetrics and gynecology. They are specifically trained to manage high-risk pregnancies and can perform surgeries. Midwives cannot perform c-sections; they would need to transfer their patient to a doctor at a hospital for a c-section (though some CNMs may assist in the operating room if they work for that hospital). OB/GYNs can also use forceps and vacuums to facilitate delivery, whereas midwives are not legally allowed to use these second stage interventions. There are actually two different kinds of midwives, CNMs (Certified Nurse Midwives) and CPMs (Certified Professional Midwives). CNMs are women that earned their bachelor’s degrees, then (maybe) worked as registered nurses and went back to school for a two or three-year master’s degree program in midwifery. They can deliver in all settings (home, birth center or hospital) depending on state regulations, and CNMs are able to prescribe drugs, including pain medication. CPMs are women who are licensed and trained in midwifery only. For education, they can go to an MEAC accredited school or one that isn’t accredited. (Depending on the program it could take them one year or up to five years to complete.) They also must have a preceptor. Through their apprenticeship (which is normally one to two years), students will observe and assist with a minimum number of prenatal exams, births, postpartum exams, and prenatal exams. They are not nurses or physicians and cannot write prescriptions. Because of this they can only deliver in peoples’ homes (home birth) or in a birth center. Since they can only work outside of the hospital, it is not required for them to have physician oversight. In most cases, OB/GYNs have never seen a home birth or a birth in a birthing center. I’ve actually met several residents who have never seen a natural birth (no pain medication) in a hospital. They were shocked and bewildered when my clients had their babies naturally with no medical interventions on purpose. A big reason why some doctors have not seen a woman give birth naturally is 1) most women who choose a hospital birth are wanting pain medication. Reason 2) doctors are trained to know what to do when things go wrong and don’t specialize in normal pregnancies and births like midwives. This can cause them to want to react and intervene during a normal and healthy labor because this is what they have been trained to do. Midwives (both CPMs and CNMs) are the experts in normal, healthy pregnancies. They are trained to focused on supporting women through their pregnancy and labor, providing regular prenatal care to the mother and her baby as well as providing postnatal care and breastfeeding support. (Most OBs have zero training in breastfeeding support.) Midwives’ model of care is all about “low tech, high touch.” They use technology such as fetal monitors, but rely heavily on their clinical experience and are more present and hands-on. OBs are trained to handle any complications and high-risk pregnancies. 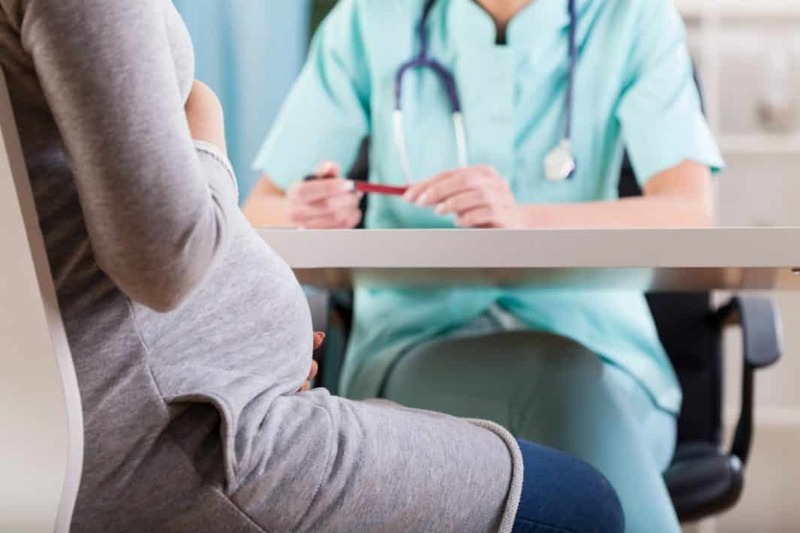 If there are any complications with your pregnancy, or if you develop any while you are pregnant and under the care of a midwife, you will be referred to an obstetrician. Midwives are trained to deal with women who are having normal, uncomplicated, low-risk pregnancies. This is the main difference between doctors and midwives. An OB works in shifts in addition to being on call for his/her patients. They are balancing their prenatal appointments, well-woman appointments, scheduled surgeries and their patients that are in labor and delivering. Because they take multiple due dates each month, there is often more than one woman at a time in labor. This then requires the doctor to divide his/her time between them all. This usually means shorter prenatal visits (usually 5-15 minutes), and less one-on-one interaction in labor, during the delivery and after the birth. There is also the potential of your doctor not being on-call and not being present at all during your birth when you go into labor. A midwife works with the mother from the time true labor begins, all the way through the birth of the baby. They only take a few due dates per month so they are much more likely to be there for your labor and birth. They have more knowledge on how to help labor naturally progress and have more patience when it comes to the process of labor and birth. (They have back-ups incase of emergencies, illness, etc. that you can meet in advance.) They are able to spend more time with their patients during their prenatal visits as well (usually one hour for each appointment). Research suggests that healthy women and babies experience higher rates of normal birth and lower rates of intervention such as labor induction, pain medications, epidurals and other medical/surgical interventions when they are cared for by a midwife. A big part of that is they believe that birth is a healthy and normal process that does not need to be intervened or interrupted (unless medically necessary) by medical interventions. Another reason is they do not have access to those medical interventions like doctors do. Hopefully this sheds some light on the true differences between the two medical professionals. One is trained to work with high-risk, complicated pregnancies, and the other is trained to work with normal, low-risk, healthy pregnancies. One will have to limit their time with you due to their high work volume, and the other will be able to give you more individualized care. Both are great options. It’s up to you to determine which you would prefer for your pregnancy and birth experience.